This article was sent to me by my friend Robin, and I believe it deserves a wider reading. It expresses loss beautifully, accurately and poignantly. "family at the table" begins. Every family has a secret hole. Every family has more people at the table than you can see. 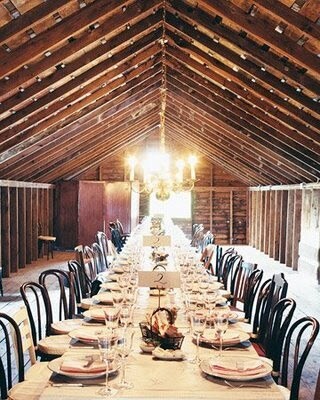 If we set the right number of plates for all the people at the table, we would have to build way bigger tables. No one talks about these holes, and you can understand why, because the holes never actually heal, and they are awash with tidal pain, and when you stumble into a hole again for some reason, a sudden photograph or an artless question, there’s the pain again, patient and terrible, as ready with the scalpel as ever, and you stand there in the kitchen, holding onto the counter with both hands, trying to get your breathing back in order, wondering for the hundredth time how it is that pain like this causes you to feel as if you are suddenly hollow, with nothing at all remaining of the crucial organs that used to be behind the flimsy armor of your chest. I have seen people stumble into their holes. I have watched it happen. You can see it happen in the countries of their faces. I saw a man look at a photograph and see the brother who wasn’t in it. I saw that happen on his face. I saw a woman say “two” when someone asked her how many children she had and I realized the answer was three. I have seen a woman fall again and again into the hole where her father used to be. I saw a woman just the other day grab hold of the kitchen counter with both hands because she was walking through the kitchen with a platter of food and she slid into the hole left by her baby brother, who was always her baby brother even when he died at 50. We try all sorts of things to hide the holes. Some people run as fast as they can for as long as they can to stay ahead of their holes. Some people build stories and live inside them. Some people construct lock boxes or complicated laby­rinth­ine jails for their holes. Some people pour whiskey or worse into their holes. Some people get trapped in their holes and become their holes and lose themselves forever. Some people acknowledge their holes and treat them as family members you cannot evade. Some people try to bend their holes into music or paintings or essays or books. Some people pour prayers into their holes. Some people try to become other people altogether so that their holes lose track of them and wander around aimlessly without anyone to haunt. Everyone is in a family somehow. There are all sorts of families and all families are odd and awkward and shape­shifting, and they all have holes and people herding and huddling and hiding from holes. But it turns out you cannot hide from your holes and they are always there somewhere inside or around you and there is nothing you can do but hold on to the kitchen counter, or reach for someone in your family, whatever kind of family that is, and wait until your crucial organs shuffle back into your hollow chest. There’s nothing good about holes other than the way they make you reach for someone else, maybe at the same time that person is reaching for you—which is another one of the things we mean when we try to say what we mean by love, and God, and praying. Wow. Very well said. Thanks for this Karen and Robin. Karen, This was so timely. I couldn't have expressed it any better. Thank you for sharing this. Hugs to you during this Christmas Season!